Version 1.0.9 will be out shortly (hopefully before Monday). pLOT v1.0.8a is out with two major changes/additions and a few extra shortcut keys. First, the graphics have been overhauled. The lines and graphics have been smoothed out (except brackets which are still in progress) and should eliminate the old Floodfill problem. pLOT v1.0.7a changes a few things (hopefully for the better). First, a new graphic is available. The Headless Arrow graphic is simply an arrow without those pointy arowheady things protruding. 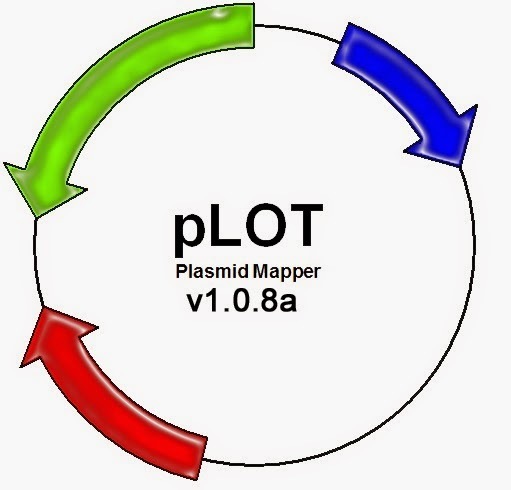 It is similar to the type of arrow used by some other plasmid mappers. See below the Cas9 vs AmpR graphics.